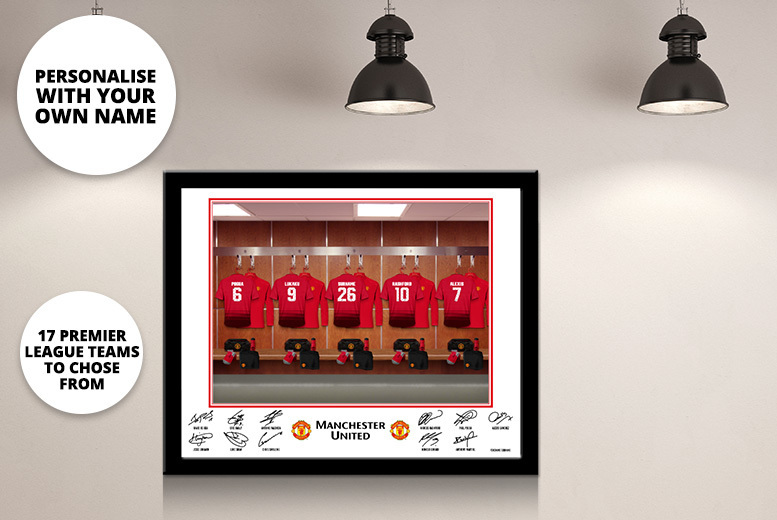 Get a personalised dressing room photo of your favourite football team! Choose one of 17 different Premier League teams (see below). Features your name on a shirt, hanging next to football legends. Presented in a stylish black frame. The perfect gift for a footie fanatic!